Calling all cheese lovers! 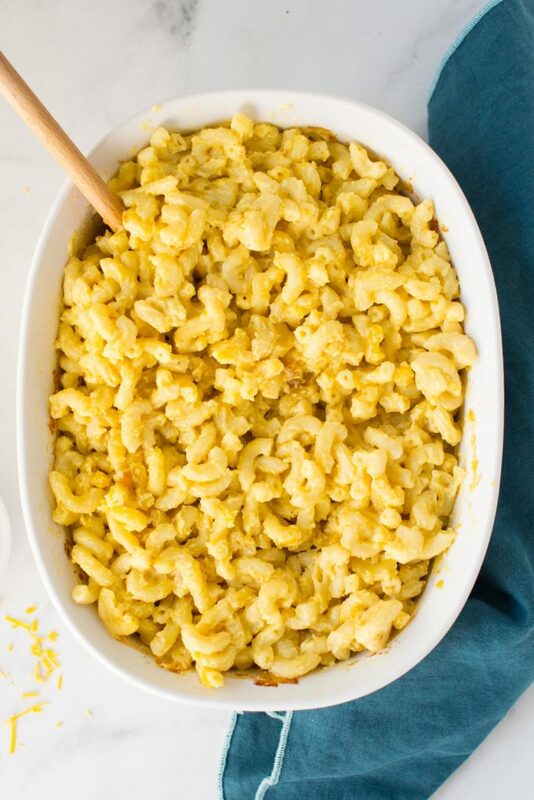 This freezer mac and cheese is perfect for the busy family who wants an easy, homemade meal. Kids (and adults) will LOVE it! We are HUGE cheese lovers at my house. Cheddar, Swiss, Mozzarella – you name it, we eat it! And when you add pasta to it? It’s TRUE LOVE!! So it’s no surprise that my kids ask for it all. the. time. But being a busy mom with busy kids that can’t always happen. I tried shortcuts like the boxed version and let me tell you, it just didn’t cut it! There were so many crazy preservatives in it and the taste didn’t even come close to a homemade baked mac and cheese. 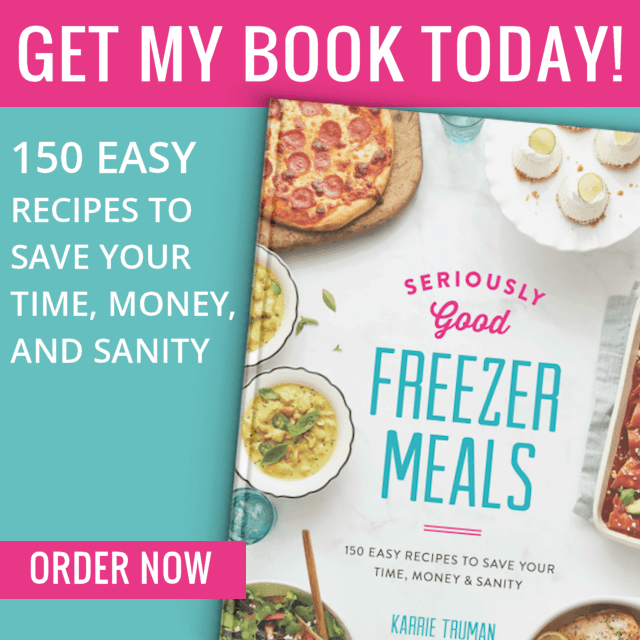 I knew then that I needed to get to work to create a make ahead freezer mac and cheese that my kids would love. That’s when my kid friendly mac and cheese recipe was born! 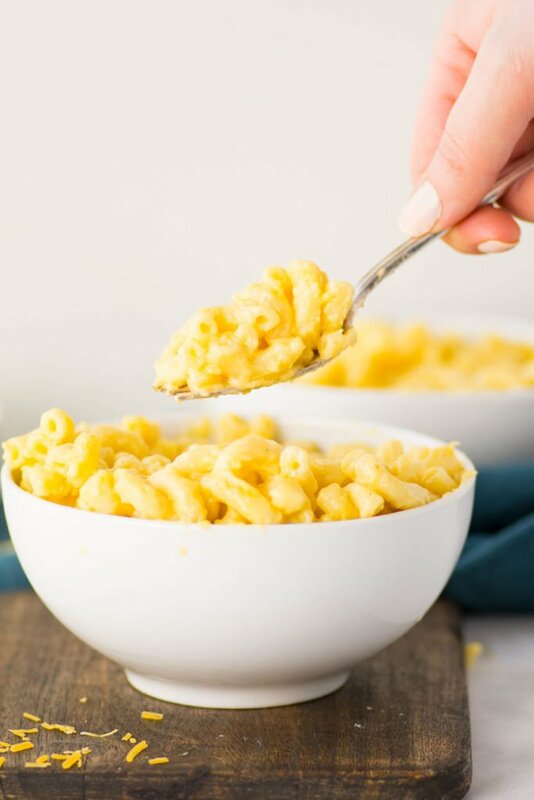 I found a way to get this ultra creamy, massively cheesy pasta into a freezer meal that everyone one will love! Now it didn’t come easily. I found that there were a lot of problems with mac and cheese that I was going to have to overcome. First, I didn’t want the sauce to separate. I also didn’t want it to be grainy or super dry. My kids would hate that and I am sure yours would, too. So I kept working until I developed the creamiest, cheesiest freezer mac and cheese known to man. And, oh man, was it worth it! 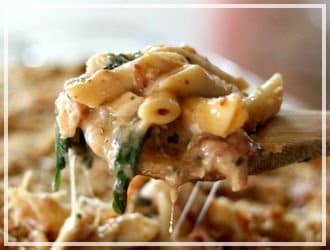 The combination of cheeses melted into a rich and creamy sauce layered in between beautiful pasta noodles. I mean, fuggetaboutit. So good. 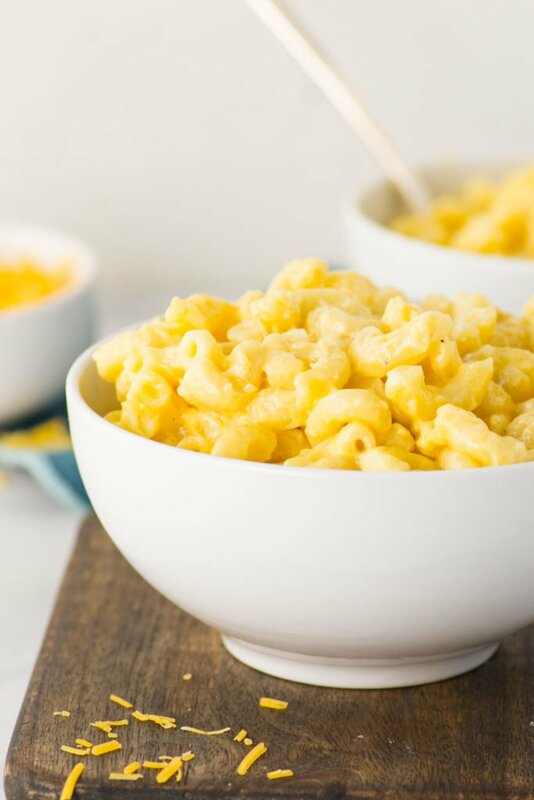 The best part is that this easy kid friendly mac and cheese is fool-proof and only has a handful of ingredients. 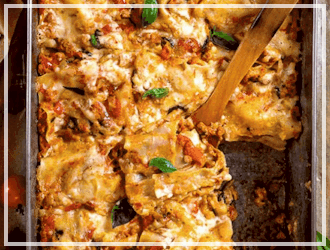 A perfect homemade dinner, full of yummy melting cheese, that can easily be made ahead for an quick weeknight meal. 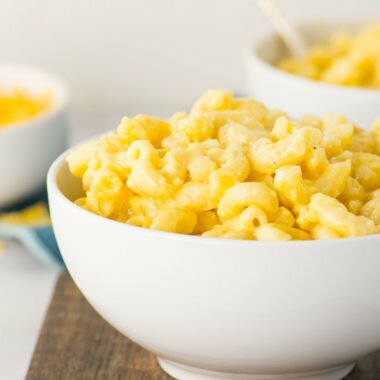 Now whenever my kids are craving it, I can pull out a pan of my freezer mac and cheese and it is ready in minutes! During the summer I also love to make it and freeze it in individual ramekins. 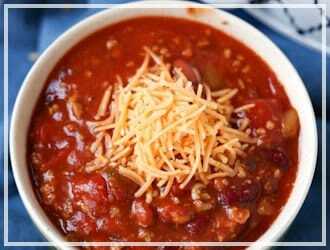 Then on busy days, I pull it out to thaw and my kids can heat it up for a quick no-mess lunch. I know, totally WINNING, right? Cheese is so individual and I get that. Every family has their favorite kinds. For this homemade baked mac and cheese recipe I tried tons of different cheeses. But the creamiest, silkiest and best flavored mac and cheese version was by far the combo of Colby jack and sharp cheddar. 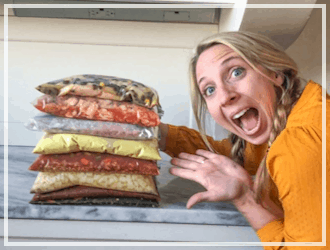 HOW LONG CAN FREEZER MAC AND CHEESE STAY IN THE FREEZER? 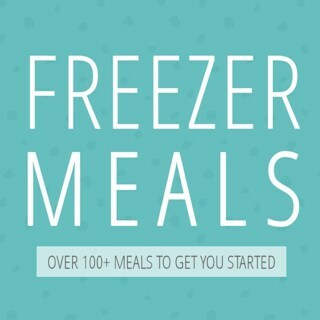 You can freeze this make ahead freezer mac and cheese for up to 2 months…if it lasts that long! 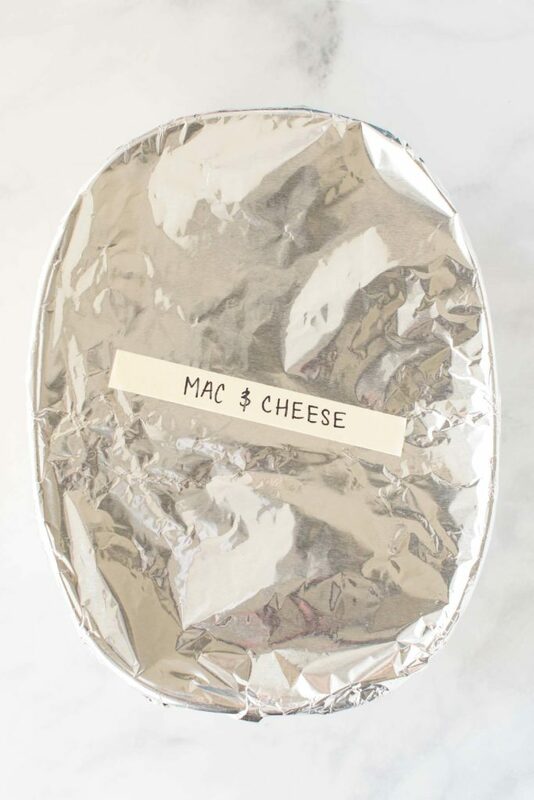 Make sure you press down on the plastic wrap to remove all the air and then keep it covered in aluminum foil. 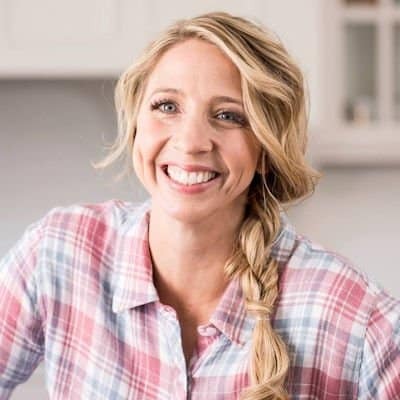 I hope you all give my freezer mac and cheese a try. 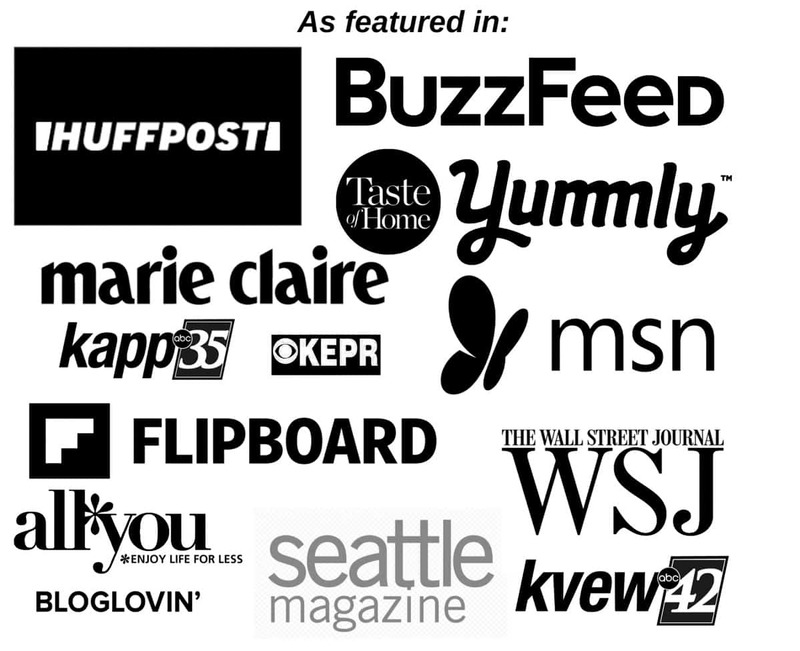 I am sure you will love it as much as we do! 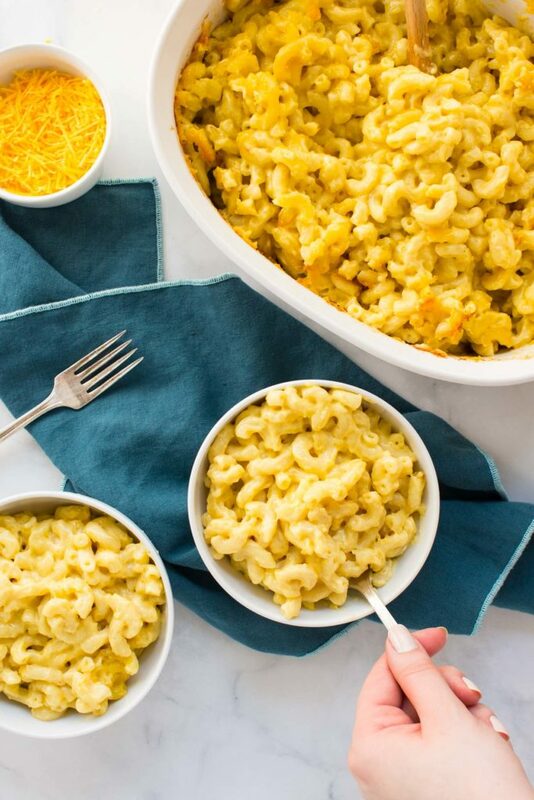 This freezer mac and cheese is perfect for the busy family who wants an easy, homemade meal. Kids (and adults) will LOVE it! In a medium saucepan over medium heat, melt butter. Sprinkle cornstarch overtop and cook, whisking constantly, for 2 to 3 minutes, until foamy and simmering (do not let it brown). Add chicken broth; cook, whisking constantly, for 3 to 4 minutes, until sauce thickens and starts to simmer. Remove from heat. Season to taste with salt and pepper. Pasta: In a large bowl, combine white sauce and cream. Add Colby, and Sharp Cheddar cheeses; stir until melted and smooth. Set aside. 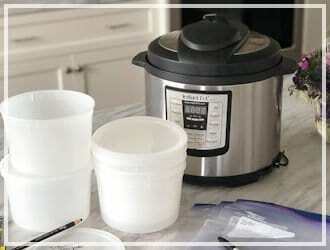 Fill a large stockpot with water and bring to a boil over high heat. Cook macaroni for 5 to 6 minutes, stirring occasionally, until just beginning to get soft (the pasta should be starting to get tender but have a firm bite). Drain and rinse with cold water to cool quickly. Set aside. Preheat oven to 375°F. Return macaroni to stockpot, add cheese sauce and gently mix together. Season to taste with salt and pepper. Transfer to a 9- by 9-inch baking dish. Bake in preheated oven for 30-35 minutes, until golden on top and bubbly on the inside. Let cool for 10 minutes, then serve. 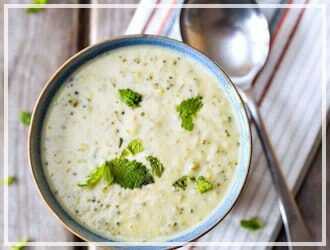 Let cheese sauce cool to room temperature. Return cooled macaroni to stockpot, add sauce and gently mix together. Season to taste with salt and pepper. Transfer to a 9-by-9 -inch baking dish. Wrap baking dish tightly with plastic wrap, pressing down gently to remove air. Cover with foil. 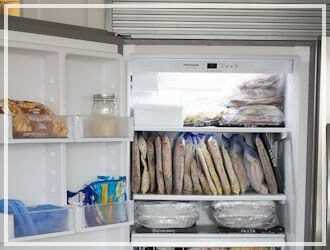 Label and place in freezer. 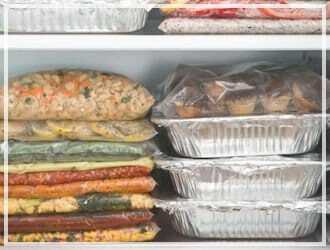 Place baking dish in refrigerator for at least 12 hours or up to 24 hours to thaw. Preheat oven to 375°F. Remove foil and plastic wrap. 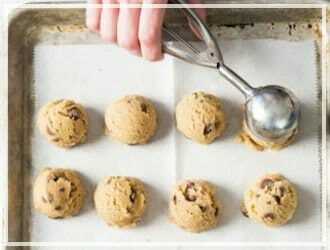 Bake in preheated oven for 40-45 minutes or until golden on top and bubbly on the inside. Let cool for 10 minutes, then serve.